PHE confirms total number of cases being treated is 22. Public Health England (PHE) can report the total number of cases linked to its investigation of blood poisoning (septicaemia) in England stands at 22 (18 confirmed and 4 possible cases). 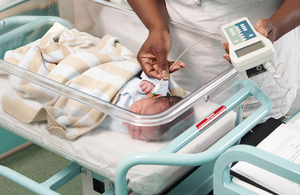 All cases received the potentially affected intravenous liquid (total parental nutrition, TPN). Investigations to date have suggested the source of the Bacillus cereus infection that has affected outbreak cases was the contamination of intravenous liquid products during a single day of production, which are no longer in circulation. PHE is continuing to work with the MHRA on this investigation and to ensure all possible lessons from this serious incident are identified. Based on the information we currently have, we believe this is an isolated incident and the appropriate immediate action has been taken at ITH Pharma’s facility to avoid a reoccurrence. Therefore we are allowing this critical product to be supplied to patients while our investigation proceeds. Further inspections are being made as part of our ongoing investigation and it’s our priority to find out how this incident happened. We are regularly updating and working closely with the NHS, Public Health England, the Department of Health and other health organisations in our detailed investigation. There have been no new infections since 2 June. As we continue to work with clinicians to review information on children in hospital, the number of cases linked to this cluster may fluctuate, as previously unrecognised cases may come to light or investigations may enable us to exclude cases previously thought to be part of the outbreak.